A 2,000 kilometre project to help native fish species travel up the River Murray is to take out man-made obstacles along the river system. Macquaria ambigua: Golden Perch or Yellowbelly. The $70 million Sea to Hume fishway program near Waikerie in South Australia's Riverland includes 17 fishways designed to help native fish species navigate major weirs and barrages. The Minister for Water and the River Murray, Ian Hunter said the new fishways would help to increase the population and distribution of more than 25 species of native fish such as Murray cod and golden perch. Tighter bag limits for fishing could be the key to ocean conservation, according to new research showing that limiting fishing across entire regions can offer better protection than using marine reserves. 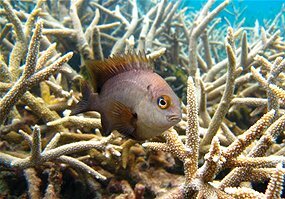 Plant-eating tropical fish species are causing serious damage to algae and kelp forests in sub-tropical and temperate regions around the world, an international team of experts warn. The findings come from a review published today in the Proceedings of the Royal Society B, which suggests that climate change is leading to 'tropicalisation' - the movement of tropical species towards the poles - as waters get warmer and ocean currents strengthen. 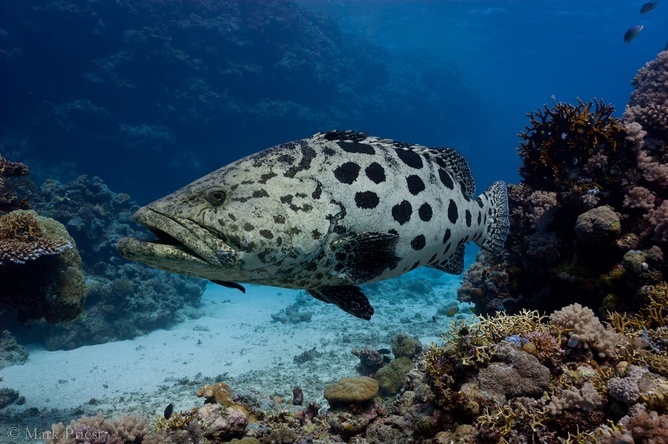 It reveals how algae and kelp-eating tropical fish such as rabbitfish have already led to the collapse of kelp forests - and their associated abalone fisheries - in Japan, and decimated the canopy-forming algae forests in the Mediterranean. 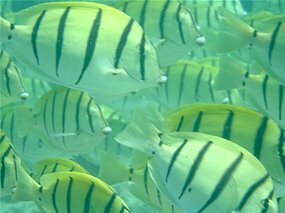 Two herbivorous tropical species - rabbitfish and drummer fish - have also been implicated in the loss of kelp forests on both the east and west coasts of Australia, says lead author of the study Dr Adriana Verges, marine ecologist at the University of New South Wales. Sawfish are the most endangered group of marine fish in the world, largely thanks to overfishing and habitat loss. Formerly abundant, they have disappeared from many countries' waters, and in many others they are scarcely holding on. Scientists are concerned that hundreds of thousands of tons of plastic waste floating in the ocean is being eaten by fish. An international team of experts has found evidence there is 100 times less plastic on ocean surfaces than expected. 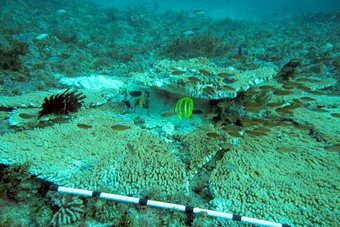 Professor Carlos Duarte, an oceanographer from the University of Western Australia, was part of the study that towed a mesh net through the world's oceans. 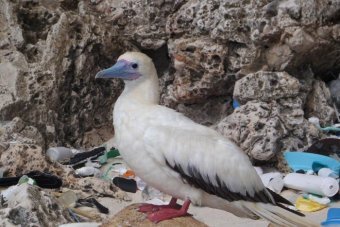 He told Pacific Beat there are a number of possibilities for where the missing plastic has gone but one stands out. "The disturbing reality is that we cannot account for where the 99 per cent that is missing may be," he said. Original story from the Society for Experimental Biology via EurekAlert! 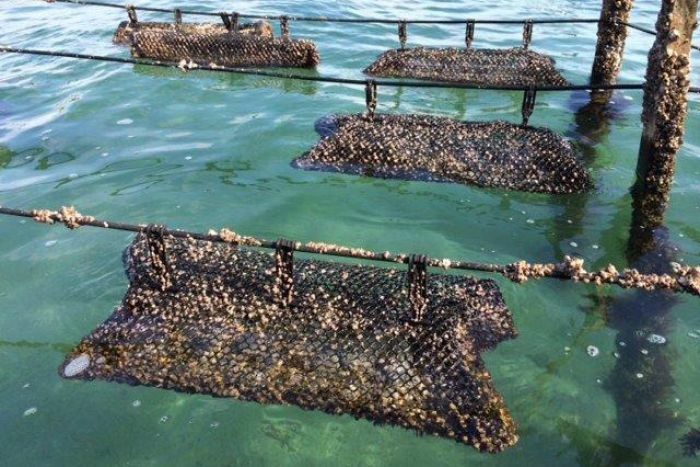 The lure of a lucrative European market is prompting a growing number of Australian shellfish producers to invest in native angasi oysters.